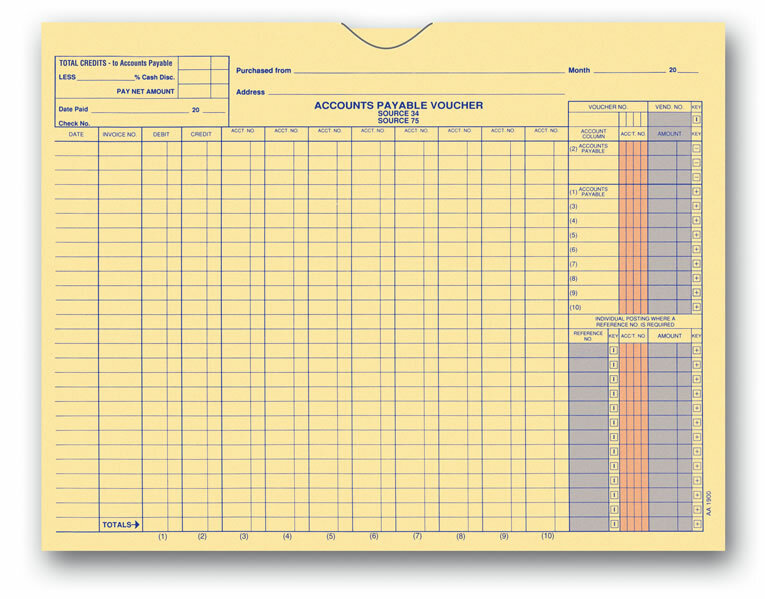 Accounts Payable Voucher File Folder Jackets - Automated Accounting Style: These are used by the majority of automotive dealerships to keep all vendor invoices in one convenient location. They provide the best filing system method for balancing statements accurately. If you are researching how to set up a filing system for accounting at your new dealership, these A/P voucher envelopes are essential. These have the most popular design and are made with heavy weight 32 lb. paper stock. COMPARE OUR PRICE to Great American Automotive Products. THEY'RE MORE EXPENSIVE … American's Price is 250 @ $110 (#BFA650).